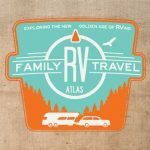 One of our favorite things about traveling in an RV is that there are options for every family budget. You are in control of so many price points, including the type of camper you purchase, how far you travel and what campgrounds you visit. Many people worry about cost when considering an RV lifestyle, but the Recreation Vehicle Industry Association estimates that RV vacations cost up to 59% less than other types of vacations. Even so, it can be tough to figure out exactly how much you may end up spending. With new RVs costing anywhere from $6,000 to $300,000, this is the most important place to manage your costs. If you are financing, divide your total yearly payment by how many nights you plan on traveling. In our opinion this number should be far lower than what you would spend on a hotel room or vacation home. However, some people are willing to spend more because of all the benefits that come with having a home on wheels. There are definitely annual maintenance costs for your RV, and it’s important to be comfortable with them before you commit to a purchase. Get ballpark prices for winterizing, de-winterizing and basic service with your dealer. Again, divide the costs by the number of nights you plan on camping to get a fair RV vacation cost. This is another amazing way that you get to control your budget. National and state park campgrounds can be booked for as little as $20 for no hook-up sites. The best resort campgrounds might charge as much as $90 for waterfront, full-hook up sites. The average private campground with basic amenities will cost you around $50. What do you want to spend? You can find a place to fit that price point. Your gas bill will definitely be higher if you are towing a travel trailer or driving a motorhome. If gas prices are a significant concern for you, pay close attention to the weight of the rig you’re purchasing. Also consider distance in your vacation planning. Staying close to home will significantly reduce this cost. Multiple stops will drive it much higher. This is our absolute favorite way to save money while traveling in an RV. It’s so easy to stick to your normal grocery budget, which means you’re not spending a dime more on food than you would at home. However, we also like to experience local food culture, so we sometimes eat out for a lunch or dinner at each vacation stop. But if you plan ahead and pick a few special splurges, you can easily track your spending. Once you figure out a budget for each of the above categories, you can get on to the really fun part—planning those trips. And if you ask us, an RV vacation is worth every single penny.